The welds in brewing equipment don’t just need to look good, they need to be perfect. Weld quality affects the brewer’s ability to keep the equipment sanitary: The welds need to be free from corrosion, pits, or crevices where bacteria can flourish. pipe that needs repair, it takes the best equipment to get th e job done right. 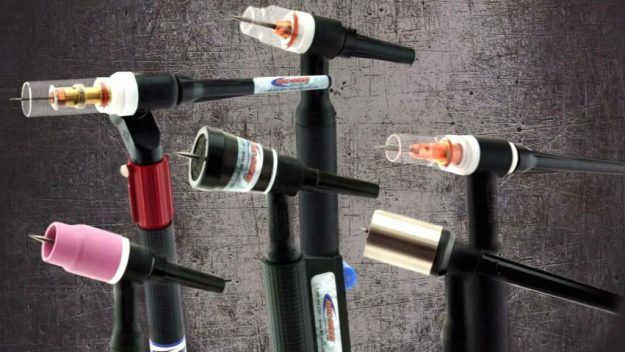 Start with a top quality TIG/GTAW welding torch engineered by a reputable manufacturer (like CK Worldwide or Weldcraft/Miller) with attention to craftsmanship. The best torches are made with the best materials to avoid problems associated with weld quality, such as gas leakage that can draw atmosphere into the weld zone. 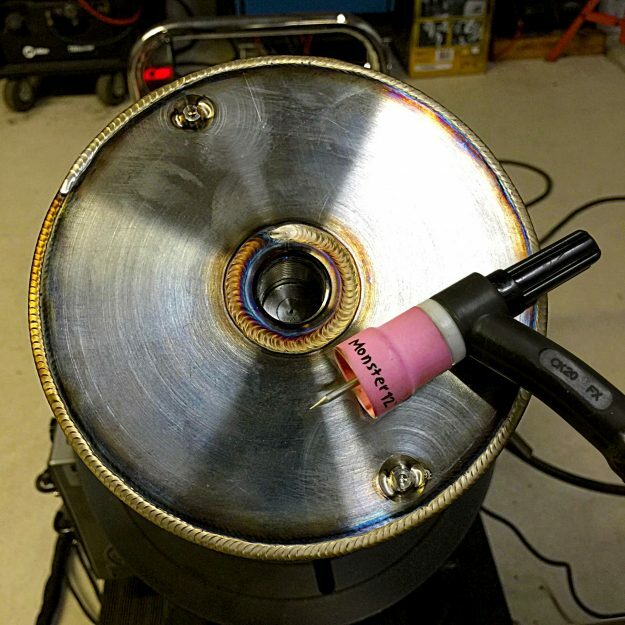 Before you run your first bead, inspect your TIG torch for defects and properly fitted mechanical connections. Leak test all gas connections and verify that the flow rate at the gas nozzle (cup) matches your desired settings and test your torch’s water flow rate. Always use a gas lens collet body, which provides optimal gas coverage and allows your torch to run cooler and will provide improved gas coverage. We also recommend a Monster™ Nozzle for welding stainless steel. If you’re working with stainless steel tube or pipe you’ll need a purge solution. Arc-Zone delivers the industry’s most comprehensive line high-purity welding accessory products from water soluble paper dams and inflatable purge bladders or baffle kit, to enclosed purge chambers. Stainless steel is selected for brewing equipment due its corrosion resistant properties, but those properties can be compromised. Areas that have been overheated from welding, or even from grinding, are susceptible to rust. One way you can contaminate your stainless steel weld zone is by transferring foreign metals to the weld area. This can happen by using a wire brush that has been used on other metals, for example. Using poor purge equipment, improper technique, or some jerry-rigged system for purging can significantly compromise tube or pipe welds. For the optimal TIG welding setup for your brewery work, contact Arc-Zone’s Pro Solutions Team: 760-931-1500 or email us at customercare@arc-zone.com. You can even connect with us via social media: Facebook, Instagram, and twitter. I really appreciate you for publishing this article because you have posted a genuine information regarding Brewer welding .